Note: During the month of January, I, and eight other poets, are participating in Tupelo Press’ 30/30 Project. The object of the game is to write a poem every day for thirty days, and in so doing, raise funds from friends, teachers, and readers for Tupelo Press. 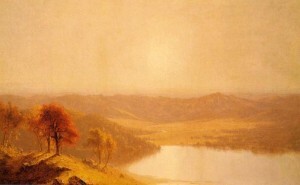 The poems are posted daily here, and participating writers are responsible for fundraising in whatever way suits them. (If you’re interested, join me here!) Why Tupelo, you ask? 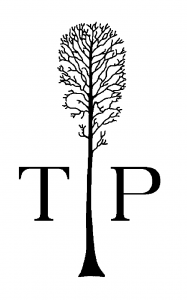 Tupelo Press is a 501(c)(3) nonprofit company, so they depend on support to seek out and publish emerging and established poets, fiction, and non-fiction writers. I was able to gain more insight on this project and Tupelo Press itself through correspondence with Jeffrey Levine, Publisher and Editor-in-Chief of Tupelo Press, and Kirsten Miles, who is a Regional Director. Hazel & Wren: How did Tupelo Press get its start? And what does non-profit status allow you to do? Jeffrey Levine: So, in 1999 I created this “job” out of, well, nothing. I knew what I wanted to do, but I didn’t really know very much about doing it. Strictly speaking, that’s not really true. It would be more true to say that I didn’t really know anything about it, except, I felt I had one important talent: I could spot great writing. (Every entrepreneur needs a healthy dollop of ego.) So, I rented a little office on the second floor of the US Post Office in Walpole, NH, and I found a desk and a chair, a telephone (remember those), a computer, and a printer and set about learning my craft. Non-profit status gives us the ability to apply for grants and to reach out to the public at large for help with the funding required to operate any sort of press. Funding a literary press is like running any other arts organization. It’s hard. It’s costly. We’re all about finding and holding onto a base of supporters who believe in our mission, who love our books, our online journal, our various literary projects (like the 30/30), and who like the fact that, as a non-profit, gifts to us are tax deductible (to, as they say, the extent permitted by law). That said, almost every literary press in the land is a non-profit, even the university presses. JL: We sell thousands of books a year through bookstores, especially independent (non-chain) bookstores, through Amazon, to colleges and universities (on account of course adoptions), to libraries, through distribution houses (like Small Press Distribution out of California) and directly through our website. We offer subscriptions each year (9 books for $99), so subscribers form an important part of our sales base. H&W: It looks like Tupelo Quarterly has just gone live! Is this Tupelo Press’s first online literary journal? What does this project represent for the company? Kirsten Miles: Yes, this is Tupelo Press’s first online literary journal. We have always planned on a journal as part of our mission, and with the addition of Jessamyn Smyth we have found an editorial voice with a complementary passion for “holding the gate open” for new voices new tones and new dialogs in poetry. H&W: The Tupelo Press website states the following regarding submissions: “We’re drawn to technical virtuosity combined with abundant imagination; memorable, vivid imagery and strikingly musical approaches to language; willingness to take risks; and an ability to convey penetrating insights into human experience.” Can you speak to the development of this statement? What do you think the work published in Tupelo Press publications will represent in our current ‘artistic time’? I hope that opening the gate for these emergent voices will lead to a greater recognition of, and more vehicles for published poets, that our legacy is the paths of these poets but also the expansion of the path of poetry, of writing as an honored art form and authors, especially poets, as valued artists. We seek this for our young writers in the Tupelo Press Writing Center, to give hope to future generations of authors, that writing is an art worthy of the deepest societal support. Let me answer your question this way: My favorite moment from my job is really a recurring moment, when everybody has left the Tupelo Loft, called it a day, and I’m there alone with the books on the shelves (and so, in a way, with the 140 or so authors we’ve helped to send out into the world,) and there are the books in the boxes and the hundreds of manuscripts stacked up on the sorting table and the left-over coffee and the windows wide open on the Berkshire mountains, at least in that part of the year when you’d want to open them, and I have time to think with no small pleasure about the difference this Press has made in the world, or anyway, the difference I imagine it has made, and that has to do with playing an important part in shaping American letters, and also that it amounts to a kind of modest legacy, and if I’m wrong about that, still there are those mountains.